In the Middle Ages, Muslim travelers embarked on a rihla, or world tour, as surveyors, emissaries, and educators. On these journeys, voyagers not only interacted with foreign cultures - touring Greek civilization, exploring the Middle East and North Africa, and seeing parts of Europe - they also established both philosophical and geographic boundaries between the faithful and the heathen. These voyages thus gave the Islamic world, which at the time extended from the Maghreb to the Indus Valley, a coherent identity. "Islam and Travel in the Middle Ages" assesses both the religious and philosophical aspects of travel, as well as the economic and cultural conditions that made the rihla possible. Houari Touati tracks the compilers of the hadith, who culled oral traditions linked to the Prophet, the linguists and lexicologists who journeyed to the desert to learn Bedouin Arabic, the geographers who mapped the Muslim world, and the students who ventured to study with holy men and scholars. Travel, with its costs, discomforts, and dangers, emerges in this study as both a means of spiritual growth and a metaphor for progress. 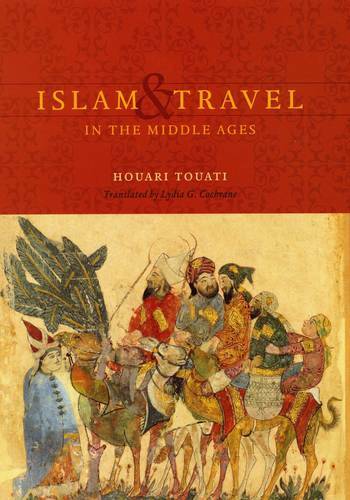 Touati's book will interest a broad range of scholars in history, literature, and anthropology.